This beautiful Secretary Desk with Hutch is handcrafted of solid oak, cherry, maple or walnut wood. Please call to receive finish samples to assist you with matching your other office furniture. We can also do custom stain matching upon request for our Amish furniture. 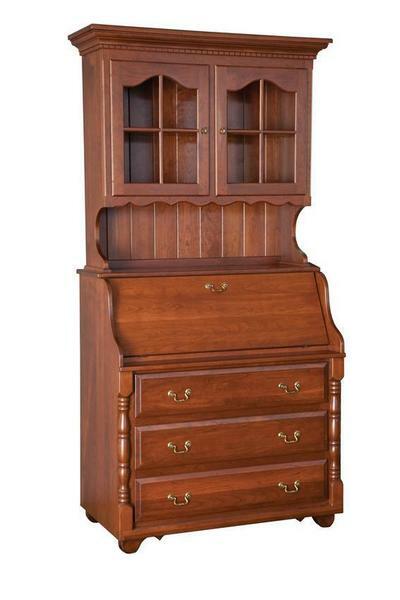 Our hardwood furniture specialists are happy to assist you with questions or placing an order. Call tollfree at 1-866-272-6773.